Earlier this year at the South By Southwest festival in Austin, Texas, a driver by the name of Rashad Owens fled a DUI checkpoint and crashed into a crowd of people while being pursued by police, sending 23 people to hospital and ultimately killing four. According to a report from the Associated Press, Owens has remained in custody on capital murder charges since the incident took place in March. At the time, authorities said his blood alcohol level was .114, which surpasses Texas' legal blood alcohol driving limit of .08. Among the seven wrongful death lawsuits, one by the family of Steven Craenmehr argues that festival organizers were too conservative when it came to traffic safeguards allowing people downtown to see the seemingly endless number or artists and groups that were performing. It is reported that over 350,000 people were in attendance for this year's festivities. What happened on Red River was a terrible tragedy, caused by Rashad Owen's utter disregard of human life. Our hearts continue to ache for those injured and the families of those who lost their lives. We look forward to his prosecution for his awful crimes. In addition to the lawsuits, victims' families have launched an online petition (via Consequence Of Sound), which claims that the tragedy could've been avoided if SXSW had executed proper safety measures and precautions. 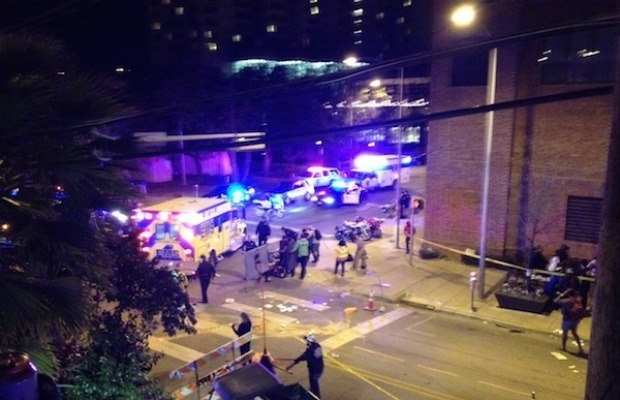 The tragic truth is that if SXSW had applied basic, common sense traffic control measures and met minimum industry standards governing street closures for festivals, SXSW would have prevented this tragedy. We’re demanding that SXSW get this right by adopting common sense public safety measures that will prevent more terrible tragedies like this one.